Born: Hammersmith, London 19th January 1982. 200T Ocean Master, Commercially endorsed. 500T Officer of the Watch, Commercially endorsed. Awarded International YachtMaster of the Year 2009. Alex has been working in the Yachting Industry since 2004 after finishing a Bachelor of Arts in Economics from Newcastle Upon Tyne University. After a year in Australia working for a charter company on the Whitsunday Islands, Alex moved to the South of France. In 2006 he worked with the late, legendary Kenny Coombes on LUCIA, a 62ft John Alden Yawl and was introduced to the Classic Yacht Regatta Circuit. In 2007 Alex joined Mat Barker on The Blue Peter, the beautiful 65ft Alfred Mylne Cutter, which Mat used as a successful charter business, as well as being very competitive during the regattas. After 4 years on The Blue Peter, Alex was offered the position of Captain on MANITOU, the 62ft S&S Yawl that was JFK's presidential yacht back in the day. The yacht was in need of a major refit, which Alex oversaw in the US. MANITOU arrived in the Med in August 2011, ready to race. 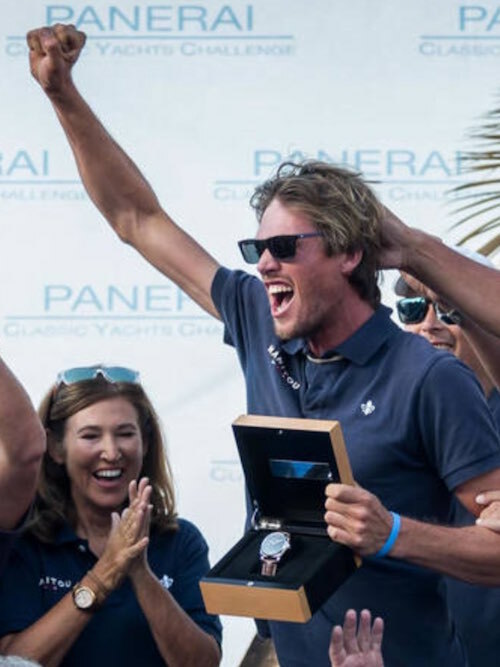 She proved to be a very competitive boat, with wins in many regatta's over the next 5 years, finishing with the Overall Vintage Yacht Prize in The Panerai Classic Yachts Challenge 2015. To this day, Alex is the youngest skipper to win this trophy. I've been sailing most of my life and have a deep passion for the Ocean. Every day on the water is different and with that brings new challenges. I've been charmed by the sheer beauty of the Classic Yachts and the camaraderie of the crews over the years. The Classic scene is growing all the time and is becoming extremely competitive, which will in turn increase the popularity. Watching 100+ yachts, most close to one hundred years old, jostling for position on the start line, then being pushed to the limit by the crew is a spectacular sight!!! Come see for yourself..... It is breathtaking.